My son is so much fun to watch. He is learning and growing and I can’t believe how entertained I am by him. Today he’s been rather contrary. It’s raining outside so I pulled out the box of indoor activities; blocks, flash card games, coloring… Nothing doing. He WANTS to be outside in the rain! So…I let him! That’s what rain boots and hoods are for, right? 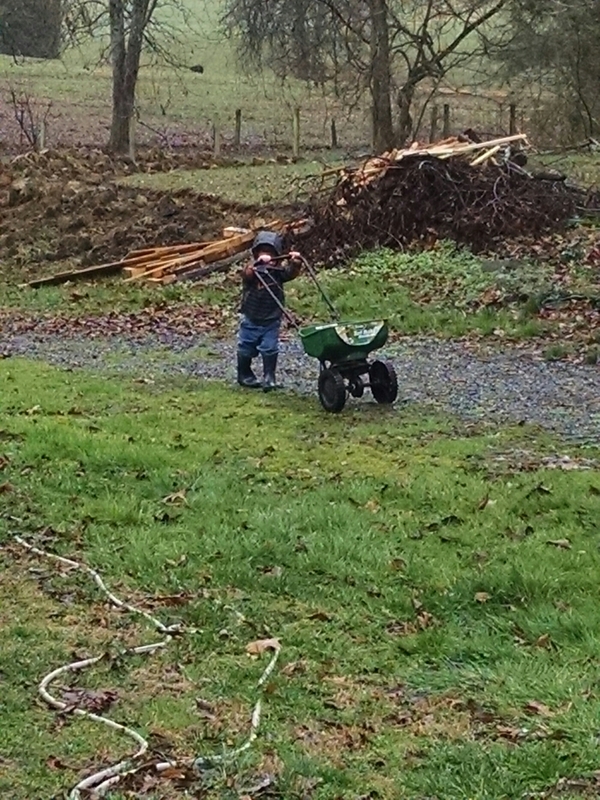 Right now he’s pushing around a seed spreader loaded up with fallen hickory nuts. It’s a blast watching him problem solve when it’s wheels get stuck. There’s something to be said for knowing your kids. I’m talking about knowing their little quirks and personalities and allowing them to thrive doing what they love. In my son’s case, that’s being outdoors. He likes to run and be hands on. I use outside time as teachable moments. 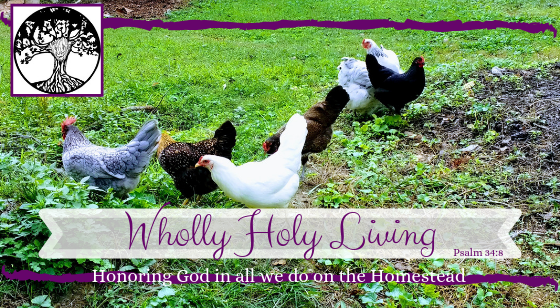 We talk about nature, and God’s created order. The other day, as we walked, we talked about the different types of soil. I showed him clay, loam, and some rocky stuff. Then we walked to the garden and he saw the composted soil and the life within it. I scooped up an earth worm. He wasn’t keen on touching it, but I suppose that will come in time. I love being able to share with him my joy and love of nature because it’s where I feel closest to God. We sing songs and discuss scripture. My boy isn’t even 2 yet, but I anticipate it just gets better and better as he learns and asks questions. It’s a bitter sweet transition from my baby boy, to a curious little person. I’m just thankful I get to come along for the ride.